How Far is Krishe Valley? Krishe Valley is developed by Sri Krishna Developers in Banjara Hills, The project consists of wonderful unimaginable space where you can find meticulously designed flats for sale at Banjara Hills in Hyderabad with different dimensions, where 2BHK flats super built up area is 1479 Sq ft and 3BHK flats super built up area size varies from 1737 Sq ft to 2457 Sq ft. 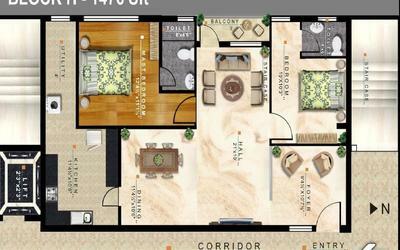 The flats consist of all the facilities and amenities required by of the residents of Krishe Valley. Come and explore this Place which will impress you in the first look, the homes are designed to meet the imagination and dream of home buyers. Home is surrounded by lush foliage, It contains all the features one can expect to lead a fine life at Krishe Valley in addition to this Krishe Valley contains Rampways for physically challenged, so it is suitable for all generations from youngsters to seniors. Krishe Valley is located in Banjara Hills is a commercial centre In Hyderabad and an upmarket locality close to Jubilee Hills. Peace, tranquility, elegance, joy, festival are the words which will come to mind when you look at Krishe Valley. Some of the amazing amenities provided at Krishe Valley projects are Gym, Yoga/Meditation Hall, Jogging Track, Indoor Games, Swimming Pool, Visitor's Parking, Multi-purpose Hall and the list goes on. RCC framed structure to with stand wind and seismic loads. Luppam/putty and painted with Premium brand paints. Surface with Textured weather proof paint. Platinum series vitrified tiles with marble finish. provision for fixing water purifier, cabinets. Provision for waching machine & wet area for washing utensils, etc. Tiles cladding till 7 feet high. Premium Brand CP & Sanitary fittings of International standards. Shower cabin with toughened glass installed in each bathroom. Modular Switches and Sockets of reputed make. Internat nad data point in all rooms and all TV points in each apartment. Central VRV outdoor unit of 8 HP installed comlete with copper piping completed till each installation point. Sri Krishna Developers is a sister concern of the Internationally known prominent Sri Krishna Jewellers which a division of Sri Krishna Group, A group which is adhered to the professionalism and its vision is to provide the best experience to the customers. Krishe Valley is an example of excellent work done by the Sri Krishna Developers in Hyderabad at Banjara Hills which provides 2BHK and 3BHK apartment with all the facilities. With 40 years of experience successfully completed seven residential projects. 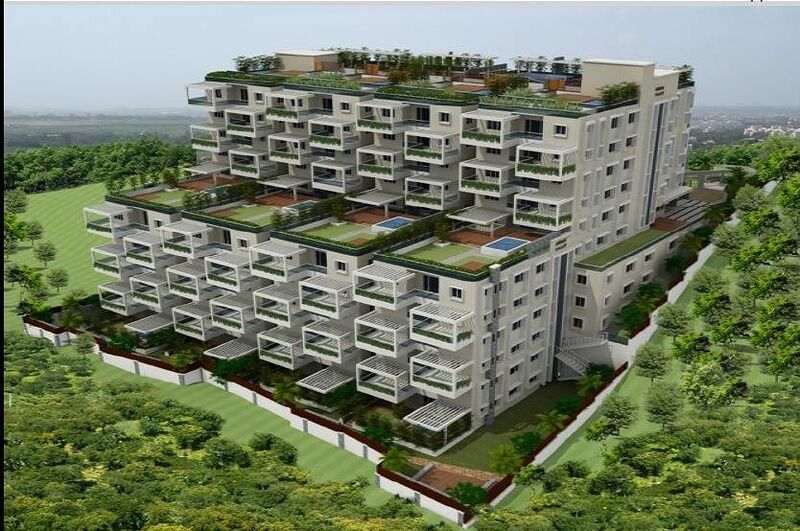 Each project of Sri Krishna Developers is located in prime location and construction of the buildings are done with high-quality materials, novel designs with high standards and modern materials in an eco-friendly manner. They have completed many residential projects which may be called as a home, paradise which will provide you cherishable moment for the lifetime. Sri Krishna Lake View Apartments in Kukatpally, Sri Krishna Luxury Villas in at Shankarpalli, Sri Krishna Krishe Gopanpally in Medchal, Sri Krishe Jeedimitla in Kompally are some of the amazing work done by Sri Krishna Developers in Hyderabad.